I should start by clarifying that non-unique clustered indexes do not necessarily consume more space and overhead; it depends on the data stored. If you have duplicate clustered key values, the first instance of the value will be handled as though it were unique. 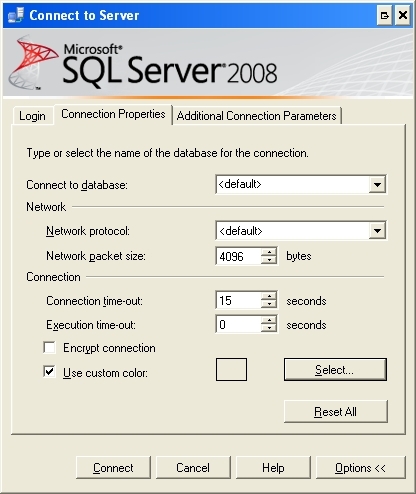 Any subsequent values, however, will incur overhead to manage the uniquifier that SQL Server adds to maintain row uniqueness. This same overhead is also incurred in non-clustered indexes, too, adding to the overall expense of this approach. I think it helps to actually look at the data, so let’s walk through a few different common scenarios. 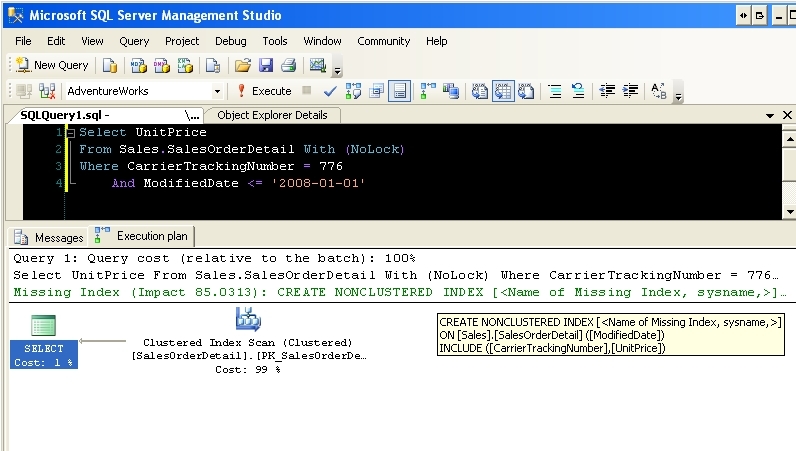 We’ll create a table with a unique clustered index, a table with a non-unique clustered index but no duplicates, and a table with duplicate key values. 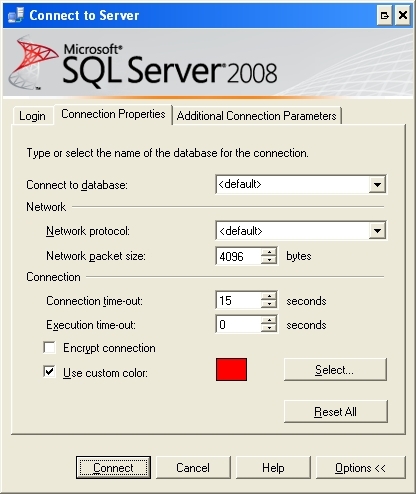 Also, a little warning that I started to write this in SQL Server 2008, and since I’m on a 2008 kick, I decided to leave it that way. You can modify this pretty easily to work in 2005, if necessary. I’m going to use the date data type in 2008 for my clustered index key. To ensure uniqueness for the first two tables, I’ll iterate through a few years’ worth of dates. This is typical of what you may see in a data mart, where you’d have one record with an aggregation of each day’s data. For the table with duplicate values, I’m going to insert the same date for each row. I want to point out a couple of things. First, there is no difference in the number of pages between the non-unique clustered index with no duplicates ([nonUniqueNoDups]) and the unique clustered index ([uniqueClustered]). 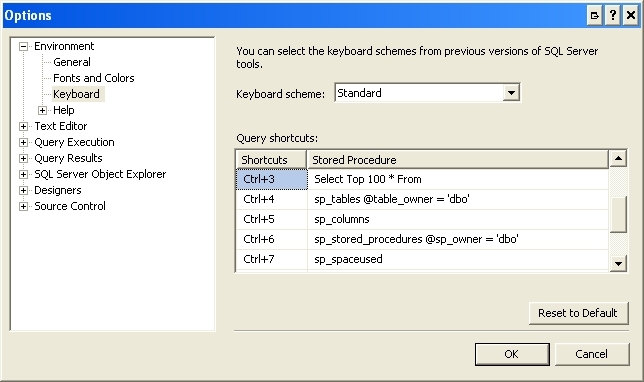 The table with duplicate clustered key values, however, requires 14% more pages to store the same amount of data. Secondly, the [max_record_size_in_bytes] of the [nonUniqueDuplicates] table is 8 bytes more than that of the other two. We’ll discuss why in a minute. Now let’s take a look at the actual data pages. For this, I’m going to use my page internals proc. 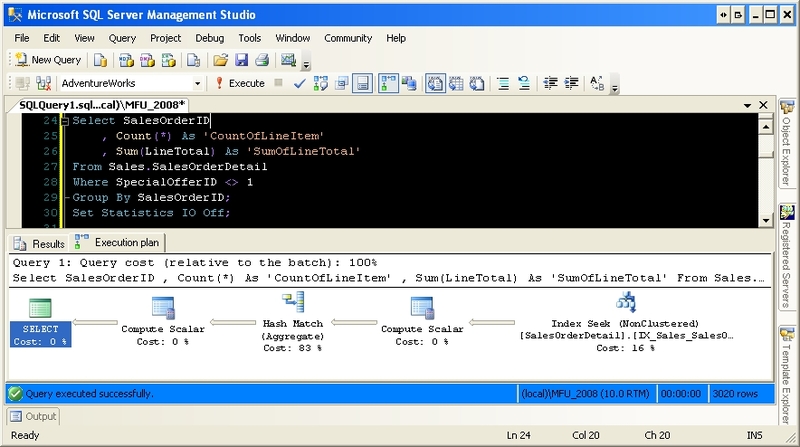 We now see a new addition to the row, “UNIQUIFIER = 0.” This is SQL Server’s way of managing row uniqueness internally. You’ll notice that, because the clustered key values are unique, the UNIQUIFIER is set to 0 and the row size is still 1009; for all intents and purposes, the UNIQUIFIER is not consuming any space. Update: The DBCC God himself, Paul Randal, explained that non-dupes actually have a NULL UNIQUIFIER, which DBCC PAGE displays as a 0. Thanks for explaining, Paul! I wondered about that but chalked it up to SQL voodoo. The first record, Slot 0, looks exactly the same as in the previous table; the UNIQUIFIER is 0 and the row size is 1009. The second record (Slot 1), however, now has a UNIQUIFIER value of 1 and the row size is 1017. If you notice, the “Record Attributes” of Slot 1 are also different, with the addition of “VARIABLE_COLUMNS.” This is because the UNIQUIFIER is stored as a variable column. The extra 8 bytes of overhead break down to 4 bytes to store the UNIQUIFIER, 2 bytes to store the variable column offset, and 2 bytes to store the variable count. The tables we created used all fixed-length columns; you may notice some minor overhead differences if your table already contains variable columns. To summarize, there is indeed a difference in the page structure between a unique clustered index and a non-unique clustered index; however, there’s only a possible performance and space impact when storing duplicate clustered key values. So there you go, more detail than you ever wanted to know about clustered indexes and uniqueness! 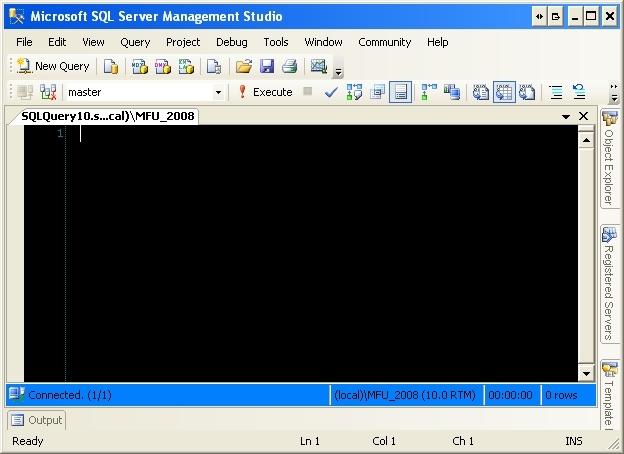 In my last blog post, I discussed changing the color of the status bar in SSMS 2008. I received a couple of comments and even an e-mail discussing how this doesn’t seem to always work. After playing with it for a little bit, I’ve found that the status bar color needs to be set in both Query->Connection->Connect/Change Connection… (here-in referred to as simply the Query menu) and Registered Servers. Let’s run through this. 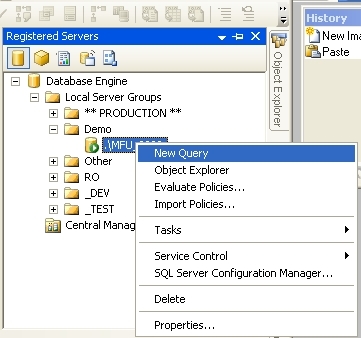 First, connect to an instance with any color using the Query menu. 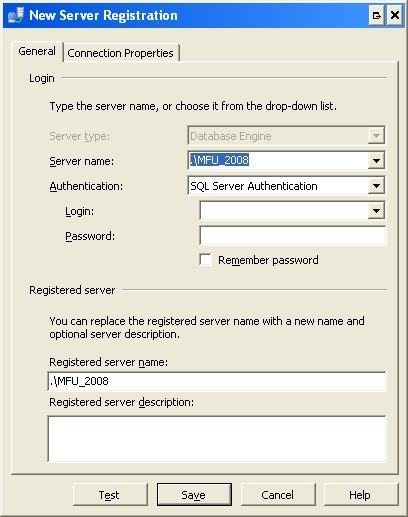 Now, create a new registered server. Make sure to use the same server. Pick a color, but make sure that it’s different than the previous color. This is just for demonstration purposes only. 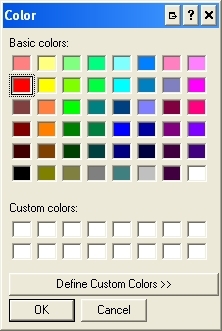 Since the whole point is to have a consistent color, you would normally use the same color in both connection methods for the same server. 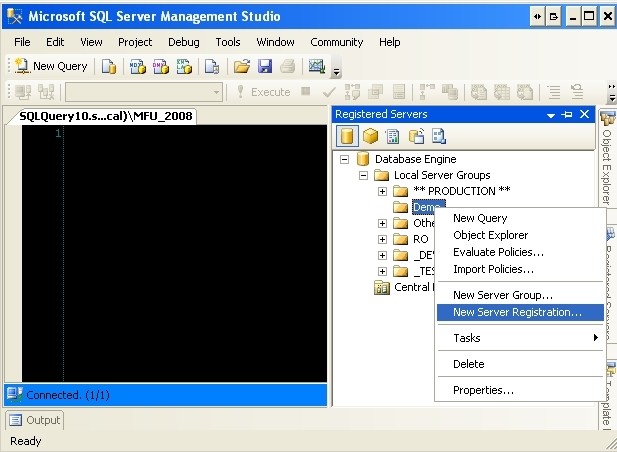 Open a new query window via Registered Servers. 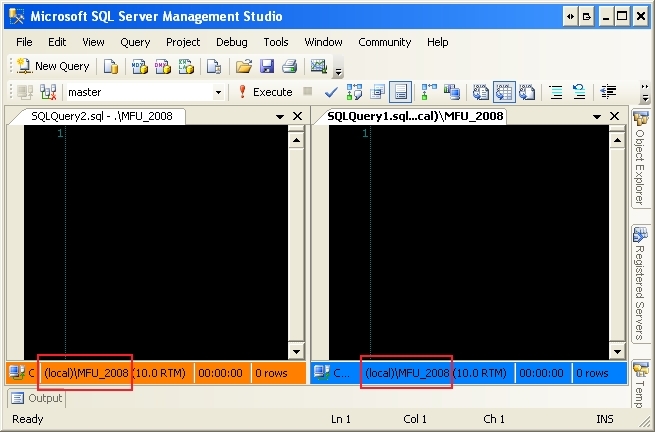 Here’s what happens when I connect to the same server using both Registered Servers (left) and another window using the Query menu (right). For anyone who’s using both the Query menu and Registered Servers to connect to servers, then you should walk through the process of connecting to each server via both means and changing the colors to ensure consistency. I did this for 22 servers and it took me less than 10 minutes. I think this has been discussed before on better blogs than mine, but it’s just so darn cool that I want to help spread the word. 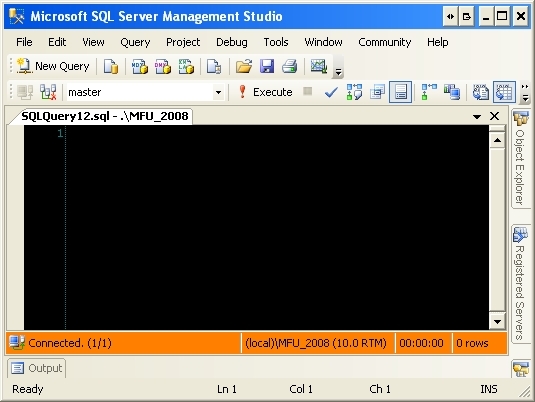 In SSMS 2008, you can change the color of the status bar for servers. This gives you a nice visual reminder as to which server you’re currently connecting to. Since I’ve made the DEV/PROD mistake before, this is something I’m a big fan of. Beautiful! 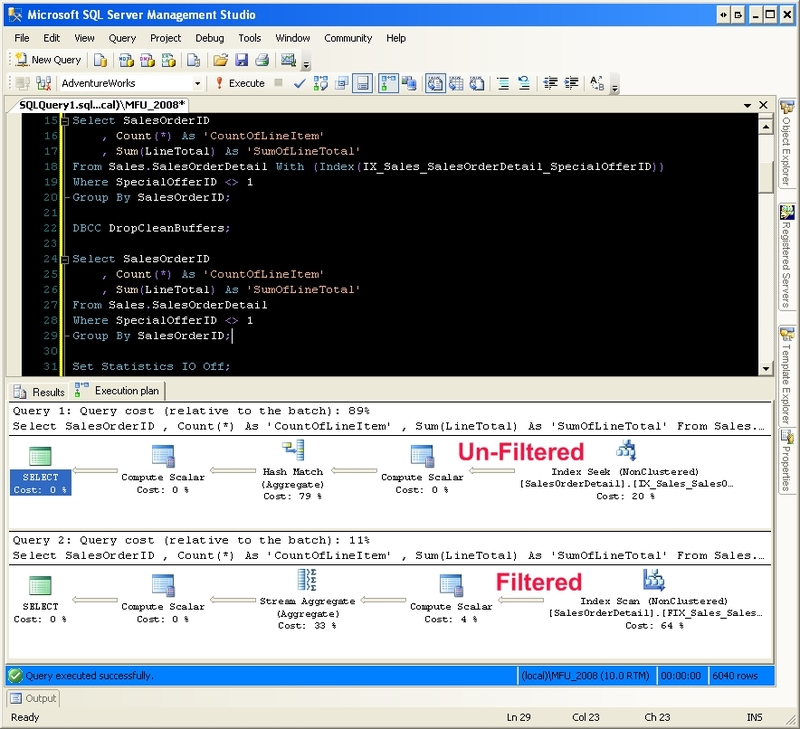 SSMS seems to remember the color settings too, so you should only have to set this up once. So after much delay, here’s the latest and greatest version of my index defrag script. Added support for centralized execution. 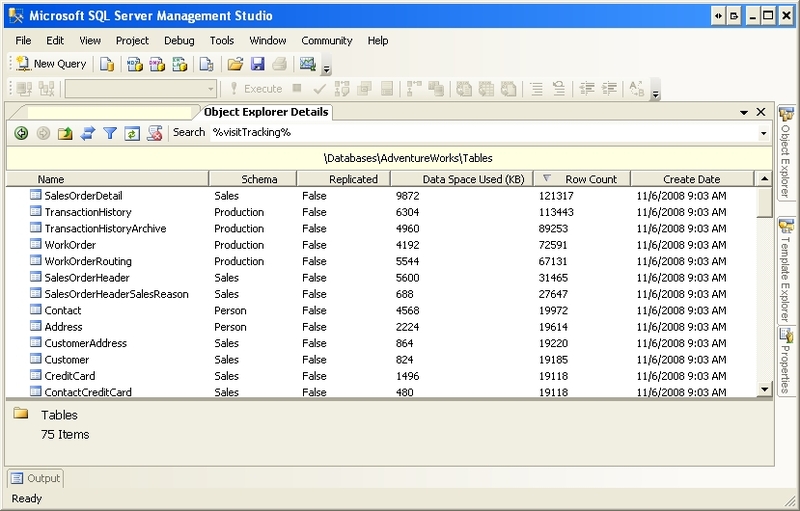 Option to defrag indexes for a single database from another database, or for all non-system databases. Consolidated Enterprise and Standard versions of the script with new @editionCheck variable. Added parametrization for MaxDop restrictions during rebuilds; validates that the value does not exceed the actual number of processors on the server. Changed minimum fragmentation default value from 10 to 5 to match BOL recommendations. Limited defrags to objects with more than 8 pages. Added a debug option to give a little more insight into what’s happening and to assist with troubleshooting. Updated logic for handling partitions and LOBs. 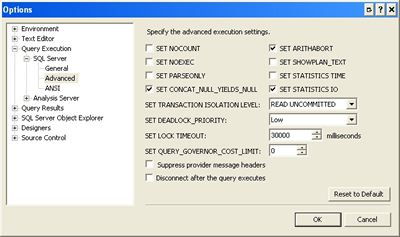 Don’t you know you can just pass NULL to sys.dm_db_index_physical_stats for the DatabaseID? Yes, I realize you can do this. But I don’t want to defrag the system databases, i.e. tempdb, so I opted to handle it this way instead. It depends. I don’t necessarily recommend running it without specifying a database; at least, not unmonitored. You *can* do that, but it could take a while. For example, to run sys.dm_db_index_physical_stats for all databases and tables, totaling 2TB, took me 4.5 hours; that doesn’t even count the actual defrags. It’s up to you. 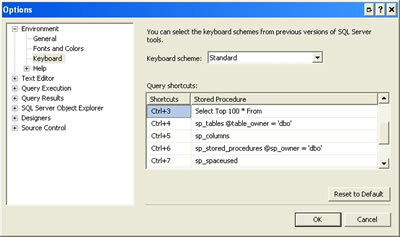 If you have a database for items like centralized maintenance or scratch tables, that may be a good place for it. If you prefer, you could also put this in each individual database and call it locally, too. I would not put this in the master or msdb databases. This is pretty close to a complete rewrite, so please let me know if you encounter any bugs. And now… the code! 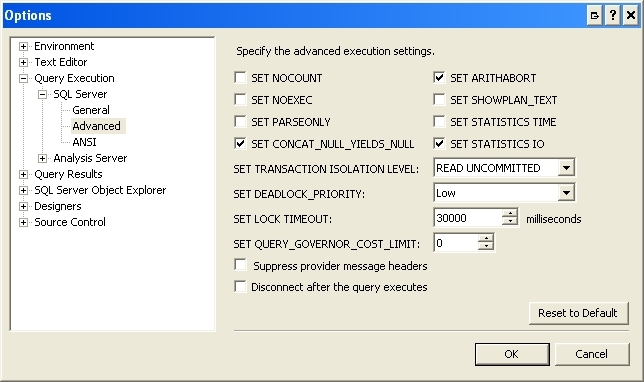 CAUTION: TRANSACTION LOG SIZE MUST BE MONITORED CLOSELY WHEN DEFRAGMENTING. Thanks to my beta testers, @scoinva, @davidmtate, @jdanton, and @SuperCoolMoss! Special thanks to SCM for keeping on me to finish this. 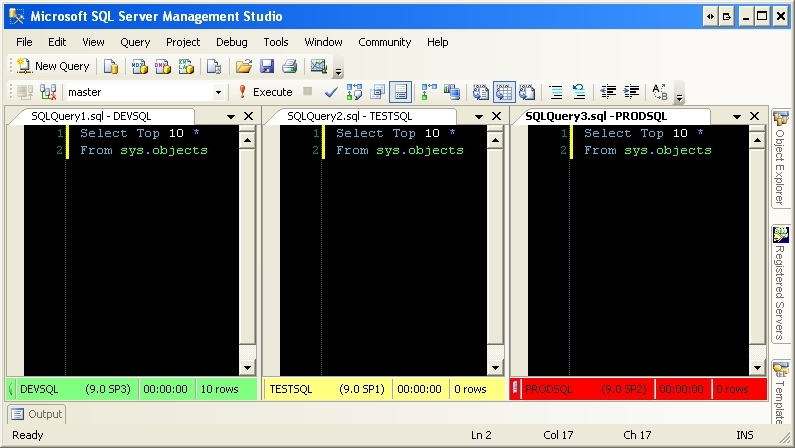 So lately I’ve been geeking out on SQL internals. My most recent find involves a couple of undocumented toys, DBCC Page and sys.system_internals_allocation_units. 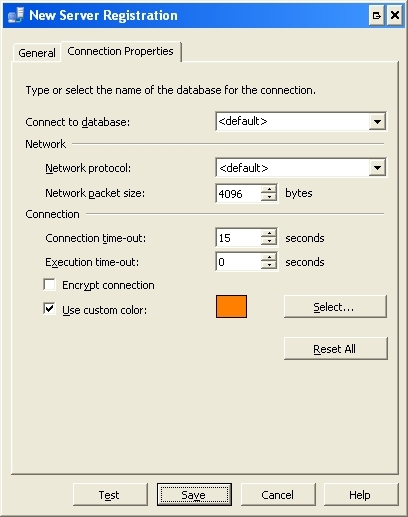 The filenum and pagenum parameters are taken from the page IDs that come from various system tables and appear in DBCC or other system error messages. A page ID of, say, (1:354) has filenum = 1 and pagenum = 354. The per-row interpretation work for all page types, including allocation bitmaps. We’ll come back to actually viewing a page in just a minute. Now that we know we can view page contents, how do we find out which pages contain the data we want to look at? This is where sys.system_internals_allocation_units can help. The sys.system_internals_allocation_units DMV is just like sys.allocation_units, except it has a few additional columns of interest: [first_page], [root_page], and [first_iam_page]. 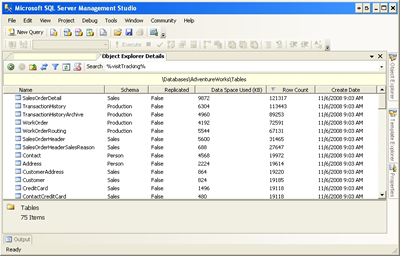 The query below will return the filenum and pagenum values, for use in the DBCC Page command, for a specific table. Note: the conversion code was borrowed from one of Kimberley Tripp’s posts, see the References section for the link. Great, now we have a starting place! Let’s now take DBCC Page out for a spin and see what it can do. I’m going to use the [firstPage] value for the IX_ProductReview_ProductID_Name index. Remember, the value preceding the colon (:) is your file number, and the value after it is your page number. Let’s take a moment to consider why we’re seeing this. You’ll notice there’s 3 columns with (key) next to the name: [ProductID], [ReviewerName], and [ProductReviewID]. There’s one column without (key): [Comments]. This is exactly what I was expecting to see. Why? If you take a look at the details of IX_ProductReview_ProductID_Name, you’ll notice it’s a non-clustered index on only [ProductID, ReviewerName], with an included column, [Comments]. You’ll also notice the clustered index on Production.ProductReview is [ProductReviewID]. Remember, the composition of a non-clustered index includes the clustered index value as a sort of row pointer. Not sure how to view the details of an index, like included columns? Check out my Index Interrogation Script. I was interested in the ordering of the data. I wasn’t sure whether I’d find [ProductReviewID] first or last. But after looking at several of these examples, I’ve always found the clustered index to be nestled behind the non-clustered index columns and before the included columns (as exampled above). Error handling is one of those things in SQL Server that just doesn’t get the attention it deserves. 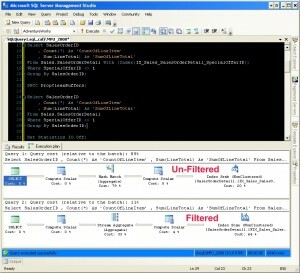 Even a properly constructed stored procedure can still result in error, such as primary key or unique constraint errors. You’re a DBA monitoring a well-performing environment. You deploy a new application to production. Suddenly, performance degrades but you do not know why. You look in your error log and see a whole mess of primary key errors. Digging into your newly deployed application, you find that you are now making an extra (and unnecessary) insert to the database, which is resulting in error and causing your performance issues. This is just one example of many. 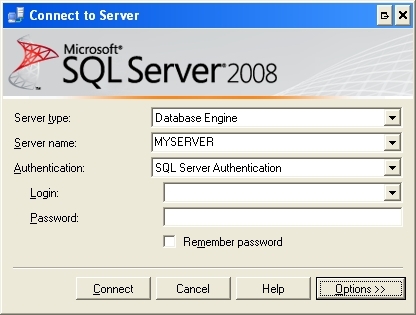 Fortunately, SQL 2005 has really simplified the error handling process with features such as the Try/Catch block. mostly useful for application errors. Error handling is not a “one-size-fits-all” process. Make sure you’re handling the error appropriately for your environment. Be careful when working with nested transactions; you can sometimes get unexpected results. Only errors with a severity levels greater than 10 will be caught by the Catch block. 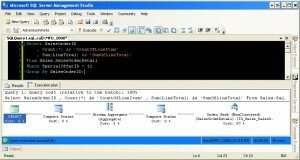 You can initiate an error within your stored procedure by using RaisError().